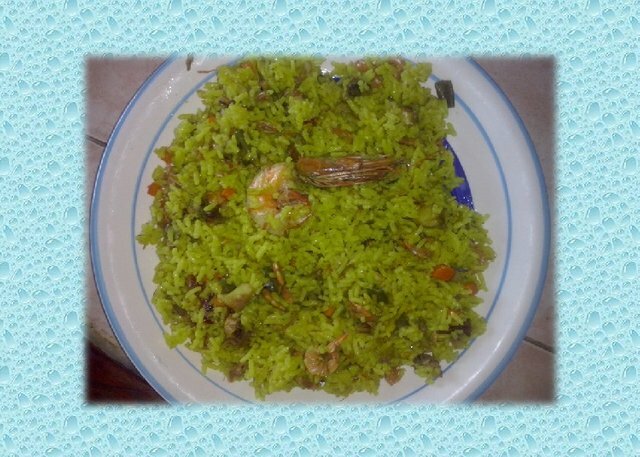 Rice with seafood - A delicious lunch. Do you love seafood? 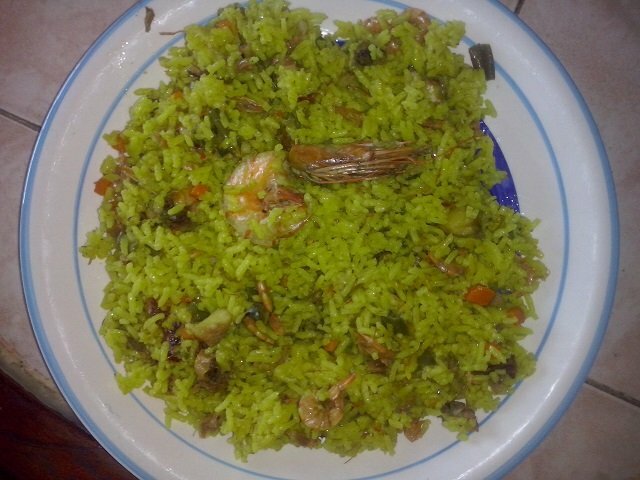 ... Well, it's time for you to learn how to prepare seafood with "Paella" rice. 1 Onion (cut into small pieces). 5 Chili pepper (cut into small pieces). 150 gr of parsley, coriander and chives (cut into small pieces). 1 Carrot (cut into small pieces). 8 Cloves of garlic (crushed). 600 gr of Seafood: Camaron, snail, mussel, pepitona. Place a pot over the fire and add oil. Then add the seafood, English sauce, oregano, a little salt and stir. Cook for 10 minutes. Add the rice, stir well until all the ingredients are mixed, then add the water, the artificial coloring and a little salt. When the rice is dry, we cover it and lower the fire. While cooking, insert a fork to verify that the rice is dry. When it is completely dry, turn off the fire.. In this way we will obtain our delicious "Paella", it is very easy, so do not stop doing it. Bon appetit ... See you soon.